It’s summertime so that means fresh sweet corn is abundant. This creamy side dish can be served as a snack or as a side to accompany your favourite grilled foods. If you can’t find queso fresco, feel free to substitute feta or parmesan cheese. The cute side bowls and plates that this dish is served in are from Britannia Kitchen and Home! In a large fry pan, melt the oil and the butter over medium-high heat. Add the corn and do not stir for a couple of minutes, in order to get a nice brown caramelization. Stir and repeat, until browned all over, around 10 minutes total. Season with salt and pepper. 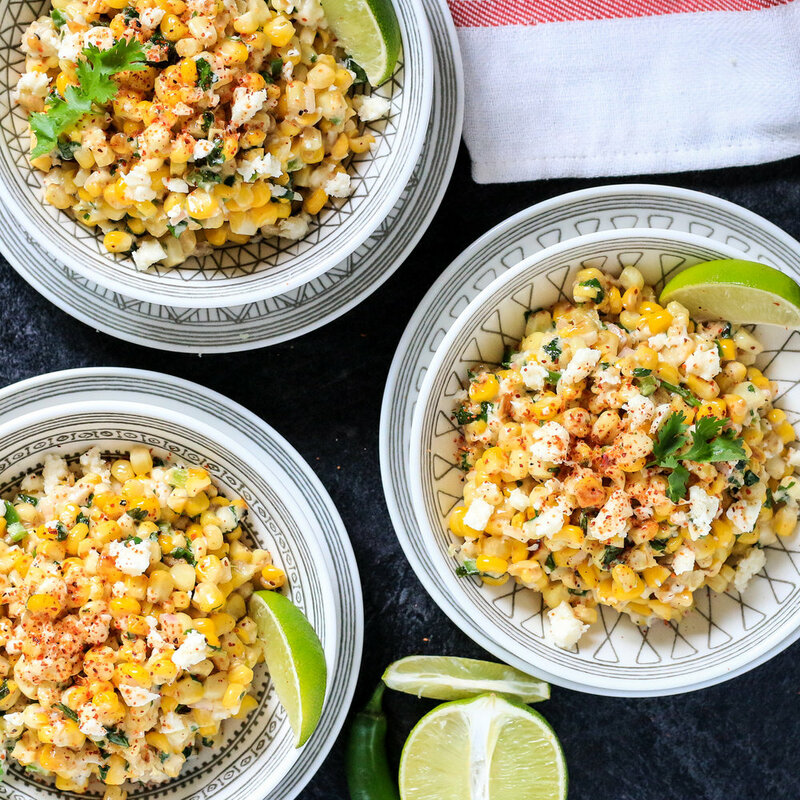 Place the corn in a large bowl and mix thoroughly with mayo, queso fresco, lime juice & zest, serrano and cilantro. To serve, garnish with lime wedges and chili powder.